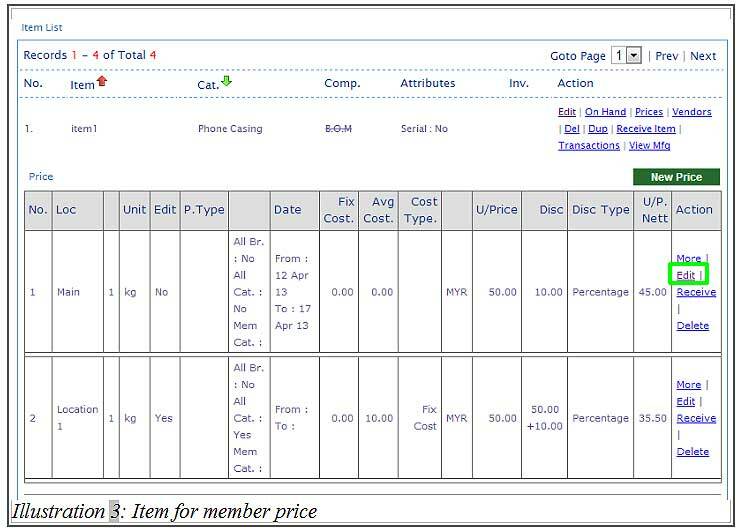 For some companies, an item would have multiple item price based on member category. 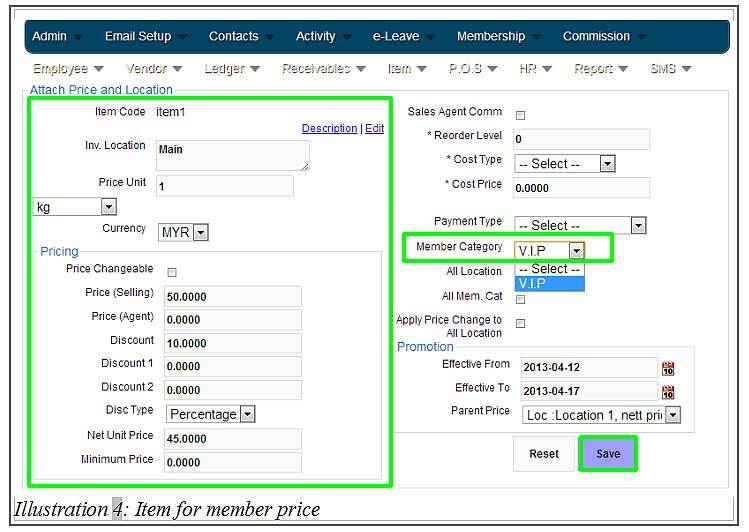 For example, your company requires 3 different prices for various member category such as V.I.P, regular members and non members. 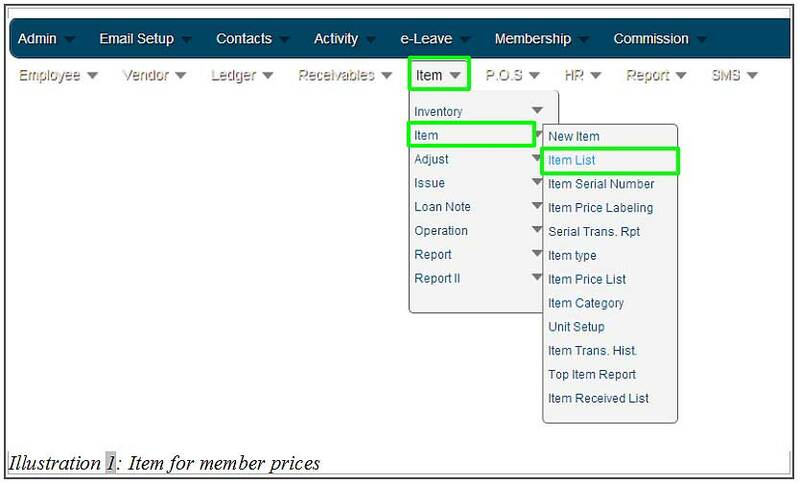 To overcome this problem, BMO Online Inventory System Malaysia provides a function that enables an item price to be differentiated based on those mentioned categories. Below is a simple guide on how to create member price for an item. 1. Go to Item > Item > Item List. 2. Now, you will be redirected to an item list page. Click on Prices to create or edit an item’s price. 3. Click on Edit to edit the item’s price as shown below. 4. Fill in the item’s price in the highlighted column as shown below. From this page, you would notice that there is a member category’s selection for you to choose from. 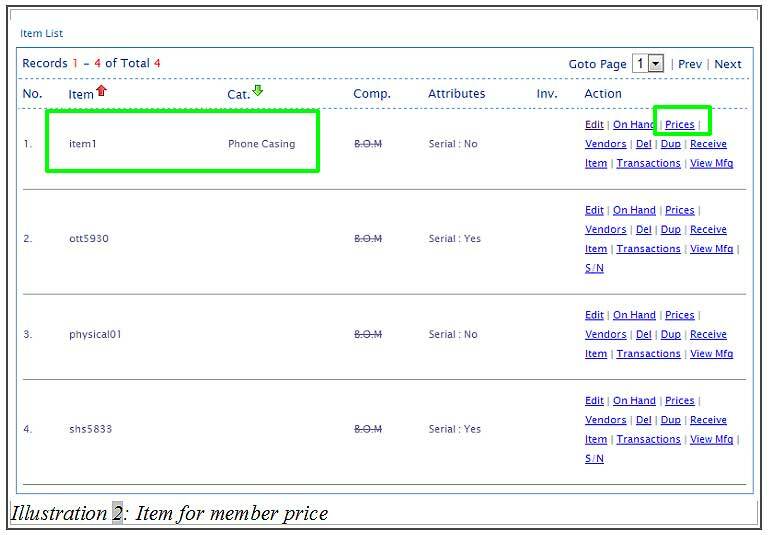 Select a suitable member category that matches the item price. Save the item price detail by clicking on the Save button. 5. After the item’s price has been saved, a notification message will appear to inform you that the item location and the price has been attached to the item. Click OK to dismiss the message.